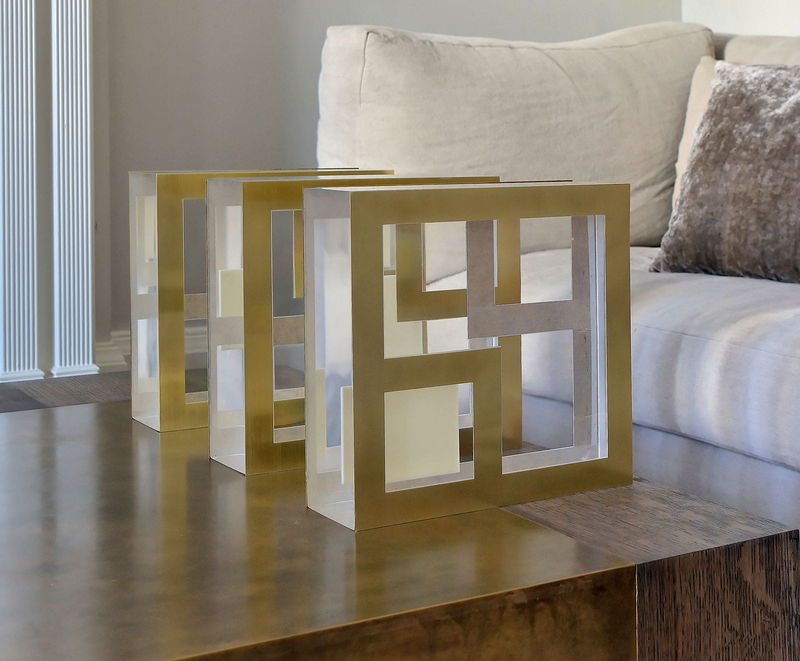 This set of three architectural sculptures makes a bold minimalistic statement in any room. They are inspired by the timeless concept of generations of families. 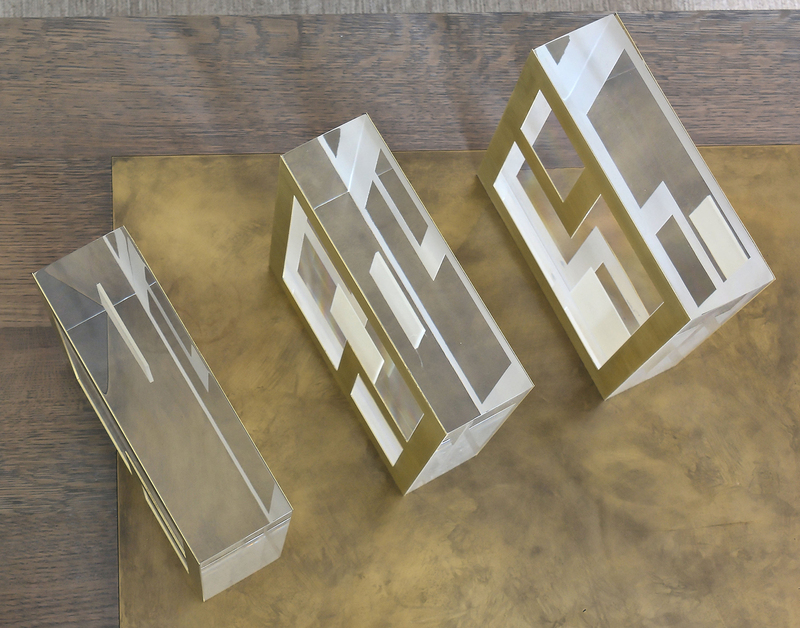 These geometric sculptures speak through the embedded white square which migrates to a different place in each sculpture. Each generation contributes something unique. 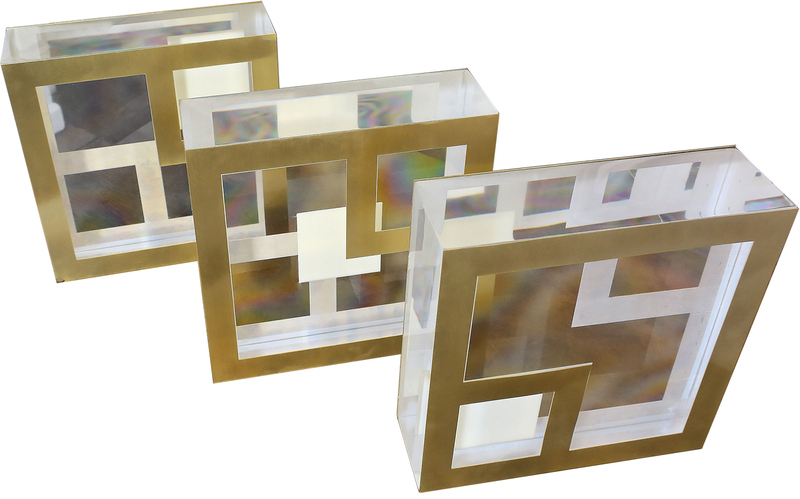 Specs: set of 3 10″ square Lucite sculptures with embedded acrylic and brass overlays.